“Your vocation in life should make you more holy. Jealously, guard your vocation.” —Fr. Arbuckle, Asst Pastor at Our Lady of Mt Carmel Church. As I heard these words on Sunday, I realized how close this hits home. I realize that religious clergy feel called to a certain ministry, but so do us ordinary, everyday lay people. We are called every day to do God’s work. That work is our vocation and that vocation should be guarded vigilantly. To top it all off that vocation should make us more holy. Lay people often times mistake vocations for their clergy only. That is just not the case. Vocations are for all of us. Each one of us who is looking to follow God’s Will is given a vocation. This job or ministry is sometimes hard to decipher or discern. These two sentences, spoken so simply this Sunday really pointed me in the right direction. I realized in order to find God’s Will I need to decipher if that ministry is making me more holy. Just where is that ministry taking me as a person? Who am I becoming when I do that ministry? Do I like that person I am becoming? Are others attracted to my ministry because of the person I am becoming or are they scared away? Do I guard it vigilantly, making sure that I protect God’s message through it all? At first, I thought of my marriage (which is a vocation). That was an easy one because Pete and I both have one goal: to get each other to heaven. We figure if that is our only goal in marriage, we will accomplish God’s plan. My ministries at the church, in my writing, and through my talks were the next item on the list. That was easy too. The amount of time I spend delving in scripture to speak God’s message is tremendous. I listen to other speakers, go to bible studies, read daily in my bible, talk to people who are struggling with their faith, and pray daily for God’s guidance. I could see where God’s Will was being done through my vocation to write. Ah, but here was the kicker: my daily life. I mean the times that I am being a mom, an errand runner, a cook, a maid, a cab driver, a secretary (for my family), a friend, a sister, and a daughter. 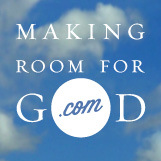 These are the ministries where it is so easy for evil to sneak in through the cracks in life. By all means, these are all vocations, yet sometimes I forget that they are supposed to make me more holy. Are they making me more holy? Not always. Yesterday, I found myself sucked into a crazy conversation that ended up in a battle. I would rather not go into details, but let’s just say as I sat back and looked over the situation, I didn’t like who I was becoming. My blood was boiling, my anger was raging, and I couldn’t concentrate on anything but that situation. All the while, my 15 year old is texting me about her trip to Washington DC for the March for Life. Her bus drove through snow to get to DC, and once they arrived they found the government and schools had shut down for an impending storm. As the snow started to come down, 150 kids were trapped inside a school. My stomach turned over again. My worry thermometer started going out of control as I thought of my poor child 10 hours away, stuck in a school. It went up even higher as I worried about her trip home through the snow covered mountains of West Virginia, the snow covered highways of Pennsylvania and Ohio. I was heartbroken for her and scared to death as a mom. Her texts kept coming through to me and her spirits definitely seemed high. Snowball fights, card playing, movie watching and sleeping were all activities that the kids found fun and peaceful. So, I am sure you can see that having an argument with someone while dealing with a stressful mom situation was probably not a good idea on my part. Fortunately (or unfortunately) through the vast use of social media, I realized that God really didn’t want me having that conversation with that person. I really didn’t need to prove my point. I knew what was in my heart, and even though this person characterized me as “hateful,” I knew I wasn’t hateful and so did God. So with the click of a button I unfriended the person and let the conversation go into who knows where in the outerspace of cyberworld. God didn’t like me taking on the vocation of spokeswoman for that cause and you know how I knew that? Because I wasn’t becoming more holy through the process, I was becoming exactly what that person called me – hateful. Evil had found a way to seep into my soul yesterday, and I had to find a way back to God. Sometimes we think we are doing God’s good by speaking out for a cause, but when it isn’t making you more holy or helping you become more spiritual in your faith life, you probably have mistaken your vocation. On the other hand, my 15 year old daughter had found her vocation in the March for Life. Even through tough circumstances the kids found peace. They found that prayer, celebrating Christ, and being with each other was not going to change their mission. They will walk at the Mall today in Washington DC to pray for all those who are affected by abortion. Their prayers will be heard by thousands, not as a spokespeople for the Pro Life movement, but as prayer warriors for the women and children who lives have been forever changed by abortion. How does she know this was her calling? Because God made her more holy through the process of it all. At 15 years of age, she was able to battle evil and guard her vocation vigilantly. Wow! Don’t make the mistake of thinking your vocation is something large and big. Our vocation here on earth may sometimes be small and little, an everyday occurrence. Those small little details in our day can change drastically when we keep in mind Fr Arbuckle’s words. Those words could change our faith life drastically because it will make us think about our actions and evaluate if we are really doing God’s Will. Evil can so easily sneak into those cracks of our everyday errands, our everyday conversations, and our everyday ministries. It is so important for us to guard our vocations jealously. Let God show you the path to holiness. Let God lead your day. Allow God to take over every part of your life. This entry was posted in Faith, Family, God, Jesus, Religion, Social Justice, Uncategorized, Women and Christianity and tagged calling, discernment, Faith, God's will, guard your vocation, vocation. Bookmark the permalink. Anne, I really like what you had to say in this blog! WOW, if our vocation is not making us holy, then we are going backwards in our journey! Thank you!